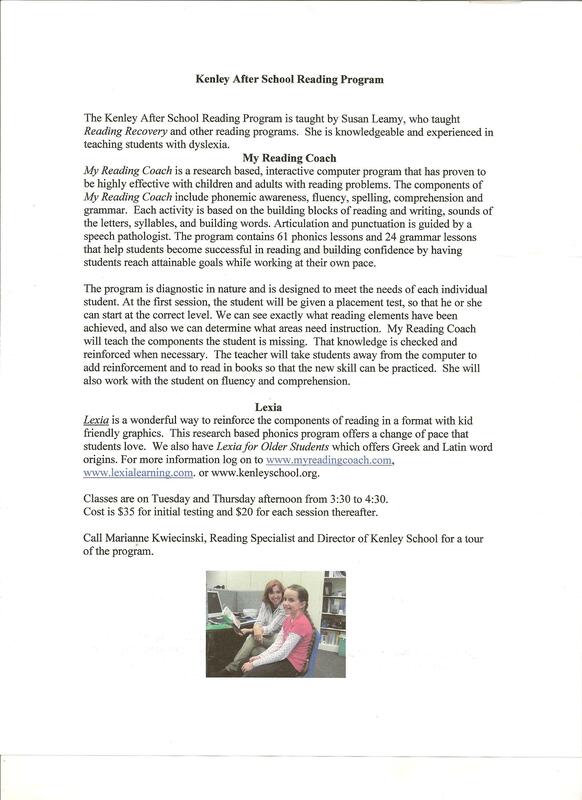 The Kenley After School Tutoring Program is taught by Susan Leamy, who taught Reading Recovery and other reading programs. She is knowledgeable and experienced in teaching students with learning disabilities. Complete the Tutoring Registration Form and return it to Kenley School. Upon receipt of a registration form, Mrs. Leamy will contact the family in order to an initial testing. Our tutoring coordinator will contact the parents to discuss the child's needs after the school receives the test results. A schedule for the entire month will be agreed upon at the first session.